Dalai_Lama Home, Volunteer in Dharamsala, Dharamshala Volunteering,Monastery Volunteering, Volunteering India ! Give your Love and Compassion to Children and Animals, Practice Dharma in Dharamshala, No Agent Fees, Free Registration !! 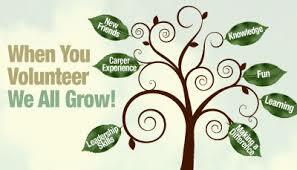 Dalai_Lama..Volunteer in Dharamsala: Wanted young volunteers for social,green and animal welfare schemes ! 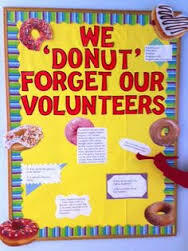 Volunteer to feel good ! Approach Love and cooking with reckless abandon ! THE DALAI _LAMA QUOTE ON HEART SUTRA..Love and Compassion in Dharamshala Volunteering !
" 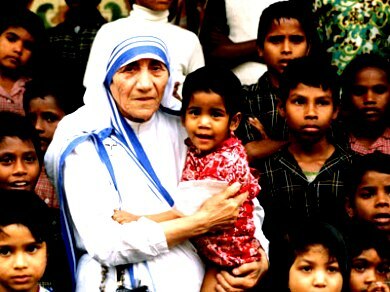 Mother Teresa was a towering embodiment of this human spirit and her great compassion, an inspiring example of the true essence and potential of a kind and spiritual life. Today's world requires us to realise and develop a sense of universal responsibility and caring. It is obvious that the challenges and issues faced by the global community today require us to cultivate not only the rational mind but also the other faculties of the human spirit; the power of love,compassion and solidarity. "A visitor to Dharamsala would expect to encounter Buddhists and Hindus but many are surprised to find that our small town in the mountains is home to practitioners of many other religions as well. In a place where people generally make it a priority to be kind and compassionate to others, everyone regardless of spiritual beliefs seems to get along just fine! ".....Cassie Childers. For Volunteering in Dharamsala, Dharamshala or in any other regions of India, Nepal, Bhutan and Tibet..kindly contact us. 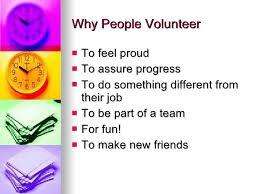 We do not charge any Agent/Registration fees for your participation in the volunteering project. 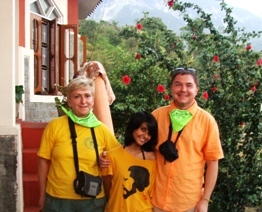 Volunteering in Dalai_Lama home town, Dharamsala, is a gesture of concern, care, compassion and love. To our minds it is a 'Healing of the Heart'..a soothing balm for all those moments of our lives when we are most vulnerable ! We had been trying to do this page from nearly two weeks and it was depressing for us because everything was going at a snail's pace. Our town was in a frenzy with the rains and Teachings of His Holiness, the Dalai Lama ! !..yet it was comforting for us to be with our stray dogs in our mountain home, just doing their little jobs..because we could forget our problems when we mingle with others and feel connected to a bigger world than ours..which is our beautiful Universe ! Our decision to adopt Barnie...our pet Baby Bull who had been left stranded and abandoned from his Herd and Mother, came at a very difficult time of our lives. Surprisingly, Barnie has given to us some of our most 'Happy Moments' when we have felt that our difficulties were very tiny as compared to someone who had 'No Home..!! Giving the world...An Educated Future ! In the course of crossing International barriers of Communication and Culture.. Volunteers coming to this small sleepy town of the Dalai_Lama in exile, have found immense contentment of the Soul by teaching to the young poor childrens of Local Village and Tibetan SOS Village Schools. 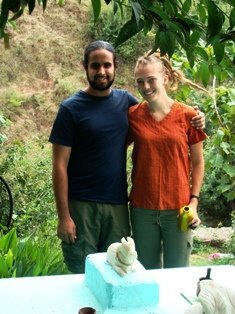 **Volunteering Programs in Dharamsala for Teaching Local Village and Tibetan Schools can be arranged by us. You can come and teach English or ANY other Languages, Mathematics, Science, Basic Health Care and Hygiene, Inter-Community Communication Skills, Sports,Home Science and Art & Crafts. Our above guests had come to Dharamshala in India to visit their young student son, who had been staying with the Monks in the Local Monastery helping them and teaching them English. We were intrigued by their obvious pleasure and happiness which showed on their proud faces by just seeing their son...grow up in the ambience of love and compassion..! Surely while some come here for spiritual mentoring with the Monks, there are those who at an early age have learnt much by sharing and volunteering their services in the abode of the Dalai Lama. ** For Monastery Volunteering and Help in Nunneries in India, Nepal, Bhutan and Tibet, we can help and assist you. ..Some of the most basic rules of unconditional Love and Acceptance come from this 'World of Animals', who can communicate with you without speaking your Language...! 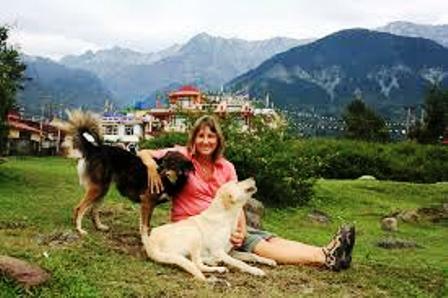 There is a Tibetan Nun in Dalai_Lama town in Mcleodganj who goes from House to House every day collecting food for her stray dogs irrespective of rain or snow,...such is the power of Compassion ! 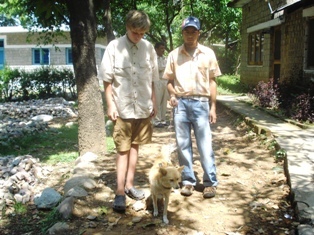 **We can arrange for Volunteering India for 'Animal Care programs' in Dharamsala. 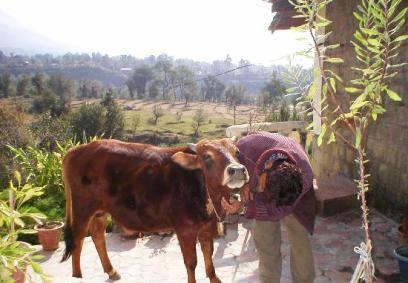 Our Himalayan region has the most unique Flora and Fauna. Along with this our beautiful pine and cedar forests are home to many magnificent animals and birds. Many migratory birds come during springtime. In Dharamsala, Angling is a popular activity, however it is done with responsibilty..Fish breeding on a regular basis, Angling for fun where the fish is returned back to the Water by the tourists . There is a strict practice in our region of banning Fishing for two months in a year (June/July) during the breeding season . No sale of fish is allowed in the Market. 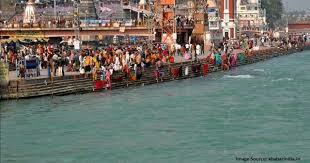 There are many Holy Lakes where you can earn Karmic credit by feeding the Ancient Fishes ! Due to deforestation everywhere in the world, our Forests are slowly fading away, specially in the Himalayas.. so is our beautiful wildlife! Here in Dharamsala to conserve the wildlife, there is a Himalayan Conservation Park,which houses the Himalayan Bears, Deers,Leopards,Pheasants. For those of you who want to share the joys of a shared Universe travel with us at Dharamshala Tours & Travels for a great experience. 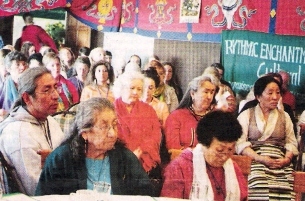 Celebrating a GREEN Earth in Dalai_Lama Town, Dharamsala..
Thirteen Grandmothers from all over the World gathered together to fulfill a prophecy ringing in their ears, to find ways to revive the traditions, rituals and medicines which could help preserve our 'cultural heritage' and in saving the Earth's environment. Environmental volunteering requires a great passion for the out doors on your sleeve...join in projects where you are part of the Team which heals green for the world. In the early 1990s,the garbage problem had increased so much that it became a cause of concern for Community Groups all over the world. 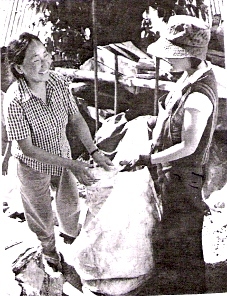 On June 05th, 1994 the Tibetan Welfare Office under the kind guidance of the 14th Dalai Lama launched a program called " Clean Upper Dharamsala ". The usage of Plastic bags in Dharamsala is totally banned while all essential plastic wrappings and wastes are re-cycled in responsible hospitality hubs. 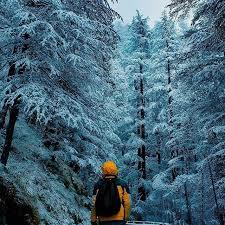 There are also regular 'Clean Dharamsala Drives' and 'Tree Plantation' programs organised by Dharamsala Tours & Travels. Soil erosion and Environmental conservation initiatives have been sponsered by our travel company Dharamsala tours and travel,which is promoting sustainable tourism in India. Eco-friendly Water Harvesting, Stopping Illegal Mining & De-forestation of the Hills, with the help of International Volunteers and working with the Local Community has been the prime focus of our travel firm...! Special Ocean of the Heart 7/8 nts program for your Summer melt down in the Himalayas at Vidya Niwas ! There are many Community Development Projects which help bond The International Communities with each other. In helping the Local people and the Tibetan refugees there is an exchange of learning and personal growth. 'Vidya Niwas', our mountain home is a part of this Himalayan Vision and we have many happy memories here. A Helping Hand...in Dalai Lama's Abode ! There are many International FIT/GIT travellers who come here to learn, enjoy and help. Some combine their Holiday activities with Volunteering services..while some come primarily for just 'Volunteering'..and stay for a longer period developing their own inter-personal relationships with the local communities.
" All my Group members enjoyed their stay in Dharamsala, learning Buddhism and interacting with the Tibetan refugees." ..Tibet-Aid Group USA, June 2004.
" It was a marvellous trip and well organised. I enjoyed family hospitality and mountain rides. 'Music in the Skies' program is fantastic. Hope to be back again with family and friends." ..Marcelo Julio Martin - de Rosario, Argentina, Volunteer POLIO Drops Campaign, INDIA, February 2007 ( House guest of Vidya Niwas, Dharamsala). **For organising Volunteering programs with your personal vacation we would require advance notice of two weeks. Spiritual Healing in Dalai_Lama Abode ! *Booking Terms & Conditions on 'Contact Us' page. Cherish your soul in the Dalai Lama's town..click here ! Community & Cultural Exchange... ! "Inner Peace is the first step towards World Peace"
Special Volunteering...Clean the Ganges at Haridwar,Rishikesh..Contact Us ! Above all,people volunteer to feel good about themselves. Volunteer Dharamsala, India..Contact Us for your Volunteering program in Dalai Lama Town..!